The Eqlips Conglomerate, SongBird TeaFlash celebrates his 25th years birthday with his lovers and friends as he drops a 6tracks E.P album to kick start a new season of his life and musical career. 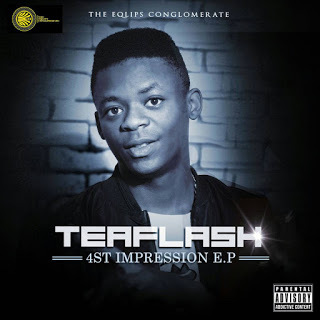 He calls this 4st Impression and features amazing artists like Davictim, LekeLee & Lamyeed. The beats will blow your mind, the lines will rack your brain, the delivery will keep you entertained yo! Listen, enjoy, and please do share!